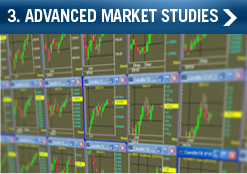 in our market studies videos. Worldwide, traders from over 35 Exchanges, 450 institutions and 35 countries have participated in Daniel Gramza's interactive courses. Sharpen your trading strategies and strengthen your trades by attending this in-depth course led by Dan Gramza. This 2-part online course will introduce you to techniques you can instantly incorporate into your trading. The concepts and techniques presented can be expanded and applied to a variety of markets and trading timeframes in addition to those presented in Dan's daily market studies videos. 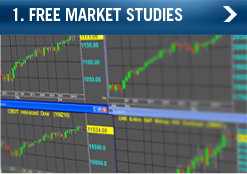 Gain a better understanding of how to apply Dan's proprietary strategies to the markets, including identification of specific trading parameters, market conditions that lead to profitable trades, where to place risk-management stops, and specific clues that will help you determine when a trade should be productive and when it's failing. Be Prepared For Any Outcome! Introduce yourself to the futures markets. *Futures and options trading have large potential rewards, but also large potential risk. You must be aware of the risks and be willing to accept them in order to invest in the futures and options markets. Don't trade with money you can't afford to lose. This website is neither a solicitation nor an offer to Buy/Sell futures or options. No representation is being made that any account will or is likely to achieve profits or losses similar to those discussed on this website. The past performance of any trading system or methodology is not necessarily indicative of future results.